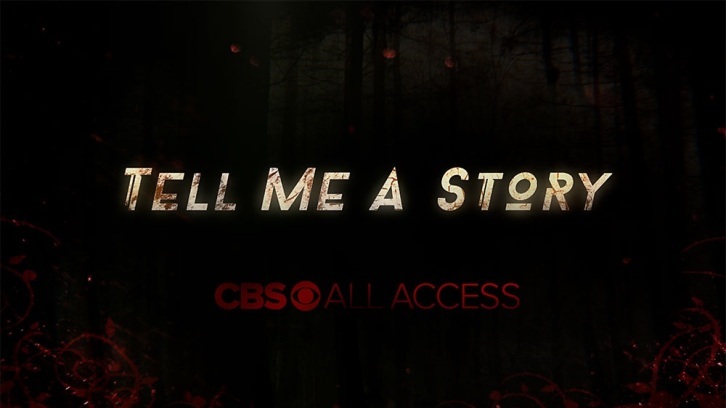 BEVERLY HILLS, Calif. – August 5, 2018 – CBS All Access announced today its upcoming psychological thriller series, TELL ME A STORY, will premiere on Wednesday, Oct. 31. Following the premiere, new episodes will drop weekly on Thursdays. TELL ME A STORY’s 10-episode first season will be available on demand weekly on Thursdays exclusively for CBS All Access subscribers. The announcement was made by Julie McNamara, Executive Vice President, Original Content, CBS All Access, at CBS’ biannual Television Critics Association presentation. In addition, a sneak peek trailer for TELL ME A STORY was shown during the series’ TCA panel which featured a conversation with executive producer Kevin Williamson and cast members Billy Magnussen (Nick), Dania Ramirez (Hannah), Danielle Campbell (Kayla), Dorian Missick (Sam) and Davi Santos (Gabe). TELL ME A STORY takes the world’s most beloved fairy tales and reimagines them as a dark and twisted psychological thriller. Set in modern-day New York City, the first season of this serialized drama interweaves “The Three Little Pigs,” “Little Red Riding Hood” and “Hansel and Gretel” into an epic and subversive tale of love, loss, greed, revenge and murder. The cast of TELL ME A STORY includes James Wolk, Billy Magnussen, Dania Ramirez, Danielle Campbell, Dorian Missick, Michael Raymond-James, Davi Santos, Sam Jaeger, Zabryna Guevara with Paul Wesley and Kim Cattrall. From Aaron Kaplan’s Kapital Entertainment, TELL ME A STORY is written and executive produced by Kevin Williamson alongside Aaron Kaplan, Dana Honor and Liz Friedlander, who directs and executive produces the first two episodes. CBS All Access’ growing slate of original series currently includes STAR TREK: DISCOVERY, THE GOOD FIGHT, NO ACTIVITY and STRANGE ANGEL, with new episodes streaming Thursdays. CBS All Access’ original series library will continue to expand with ONE DOLLAR, THE TWILIGHT ZONE and additional programming to be announced.